Pricing your SaaS product can seem like a guessing game – particularly if you’re pricing a brand new product. Luckily, there is a science to pricing. 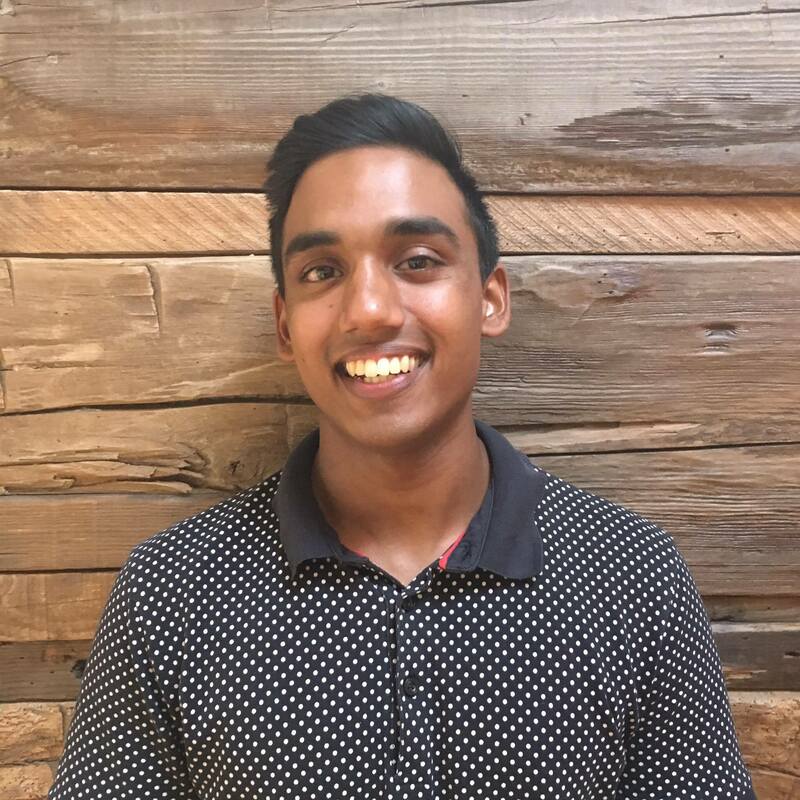 X.ai, a company building an AI assistant for your inbox, is an example of one of the few companies that went to market with a carefully calculated pricing structure on day one. Their final price of $39/mth was based on extensive research and customer discovery. In contrast, companies like Hubstaff made some early pricing decisions with their gut, and found themselves struggling to make needed pricing changes later. 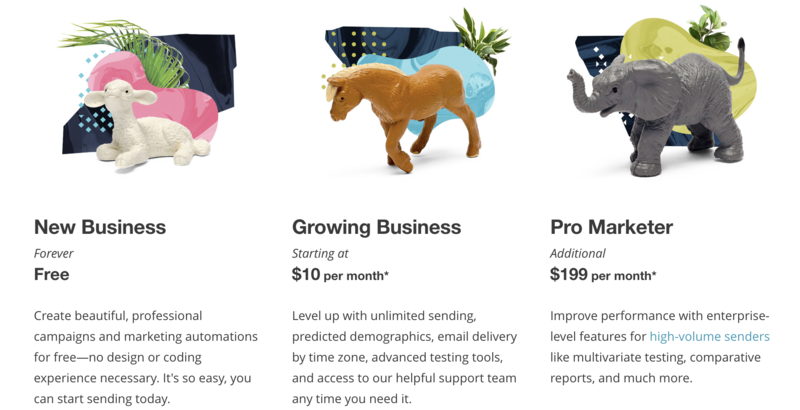 As we discuss in our book, Data Driven Sales, copying the pricing strategy of successful services like Mailchimp (above) comes with assumptions that may not translate to your business. However, by using a combination of listening to your customers and some experimentation, you can get your customers to start paying sooner (and often more) than you think. The cost of not having a price strategy might surprise you. A survey of 1,000 SaaS companies by Openview, an expansion-stage venture firm, found that over 50 percent of companies make pricing decisions too late. 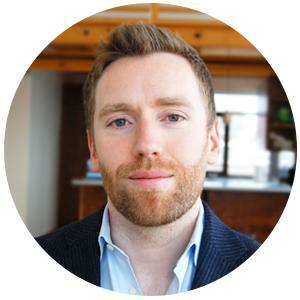 The overwhelming majority – more than 40 percent – of both expansion and growth stage software companies in the survey had nobody dedicated to pricing strategy and made decisions with little to no customer research. The solution is to actually start talking to customers and align your pricing with their perceived value. Talking to customers, particularly about money, can be scary, but it makes a huge difference once you do. 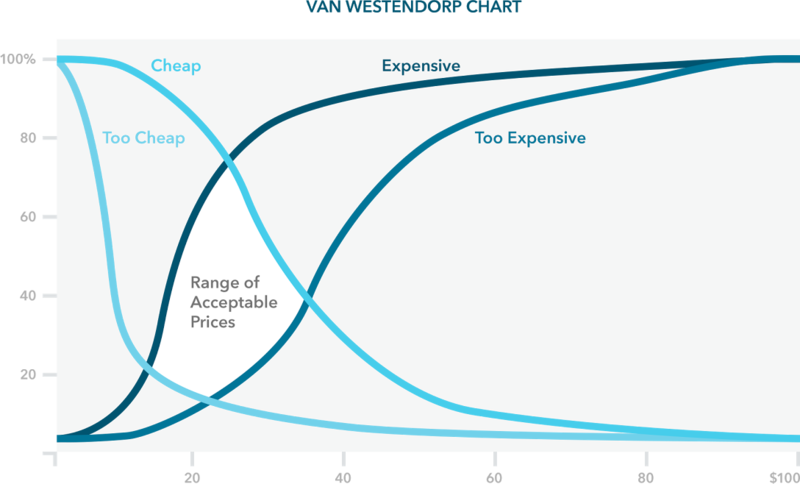 This methodology of asking questions uses the van Westendorp Price Sensitivity Meter. It helps measure sensitivity across a range of prices rather than just a single data point. The result is a graph that reveals how to price and what the implications might be: price lower, and reach a larger market or price higher and maximize profit. Using it, you can help predict whether potential customers would pay a higher price, and what effect different pricing would have on long-term usage. Peter van Westendorp, the creator of the pricing model, was the first to suggest that asking people outright what they would pay was a mistake. Instead, he recommended asking questions like “how does the buying process work, and what’s the threshold for a deal to go to procurement” and “what would be the risks of no longer using our product?” This puts customers in a different state of mind: how much value do I gain from this tool? Support tool Front uses a pricing experimentation philosophy to help determine whether their assumptions and learnings are correct. Rather than evaluating prices once a year, or committing to a single price point, the company tests every three weeks through their pricing page and compares results. The best part about that experimental approach is it’s safer – they’re testing on small groups of customers, which means there are few repercussions if there’s a pricing mistake. That way, instead of big jumps in pricing, it evolves incrementally at a steady pace. This also makes the transition from a free trial to a paid plan more predictable. If you’re thinking about pricing but haven’t set anything yet there’s no better time than today. Start discussing with your customers to make an informed, calculated decision rather than picking a number at random and hoping it sticks. More questions to ask your customers can be found in the first chapter of Data Driven Sales, so take a look and get started with customer driven pricing!